Ditch the mouse or trackpad when performing with a laptop. It’s much more intuitive and a lot more fun interacting with physical controls. There are several types of DJ controllers and interfaces on the market these days that offer the amount of control and performance features you may need. 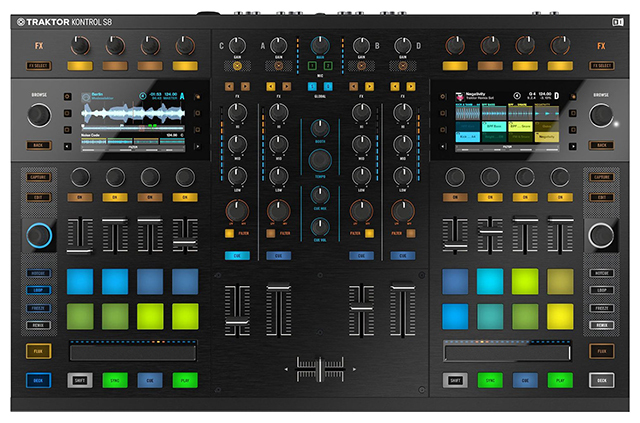 You can go with something elaborate like Native Instruments’ flagship all-in-one S8 controller for TRAKTOR PRO, or something more portable and affordable like the TRAKTOR KONTROL D2, Numark’s Mixtrack Pro III, Pioneer’s DJ DDJ-SB2, and several others. Often, simpler is better in most cases. 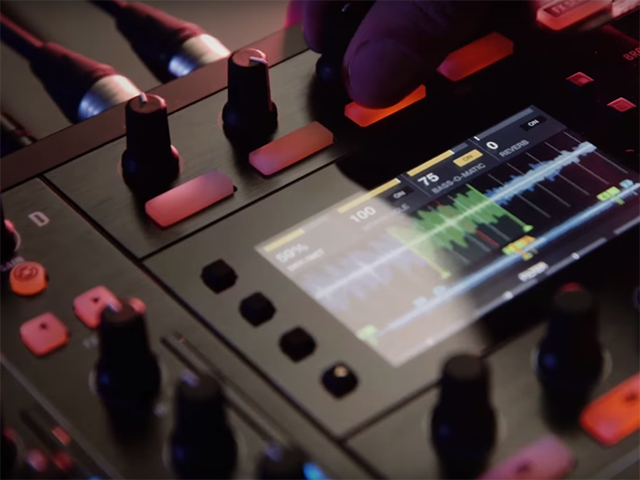 However, DJs who scratch as part of their performance will want to look at the higher-end units that offer precision touch controls with low latency. Whether you’re performing with turntables or a digital DJ system, cue monitoring is essential for beatmatching the next track. When making the transition from using turntables and a mixer to a digital DJ system, it’s important to realize that your setup will require an audio interface or audio routing capabilities to monitor your mixes properly. For example, if you want to plug into a standard club mixer, you’ll need at least two stereo outputs for two decks in addition to any other outputs you may need for additional gear. If you want to bypass the club mixer, it’s also possible to monitor through your laptop’s built-in sound card, as long as it supports headphone monitoring. Increasingly, many of the latest digital DJ gear comes equipped with a sound card built-in, so check before you buy. 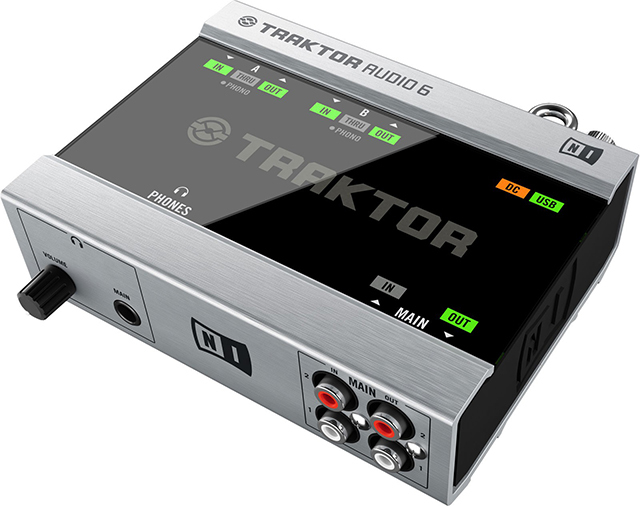 If you have a DJ controller that doesn’t have a built-in card or if the sound quality is poor, you’ll most certainly need to purchase an audio interface. Furthermore, you may also want the flexibility that an audio interface offers you for expanding your setup in the future. Organizing and managing your digital media is essential for several reasons. We can not stress enough how crucial it is to have a well-organized music library. Organizing your music improves workflow, helps keep you engaged with your audience and focused on your set, and most importantly helps avoid from scrolling through hundreds of songs during a performance. It’s recommended to use a separate program to organize your music. Keeping your DJ software separate from your music library software helps avoid crashes and more importantly allows you to manage massive amounts of music. Many DJs often use iTunes because it integrates seamlessly with popular DJ software such as TRAKTOR PRO and Serato. Think of iTunes as your shelves full of vinyl and your DJ software as your crates of music you bring along to gigs. It is also wise to create playlists with about twice the number of tunes you think you’ll need for any given event. There is no need to bring your whole music collection to a gig. Spend time on your playlists and organize your music by genre, bpm, key, date of release, artist, title, and any other details such as cover art that will help you quickly identify the tune you’re looking to cue up next. Try to get in the habit of knowing your audience and bringing music that suits that audience as well. 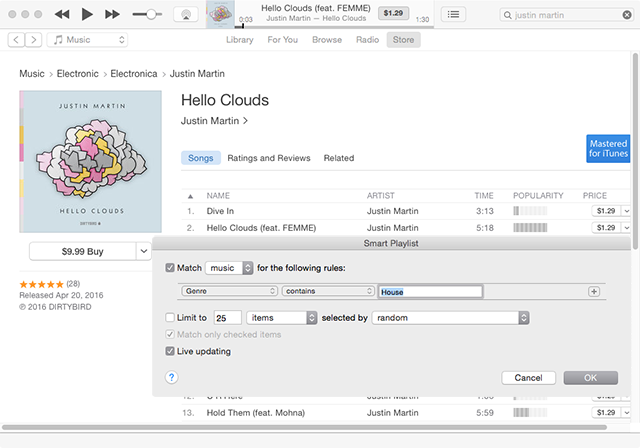 DJ Endo also covered this subject previously in his tutorial on How to Create Smart Playlists in iTunes. In addition to tagging and organizing your music collection, it is also common practice to take notes about your music and how you plan to perform with it. Use the comments or description field in your music software to your advantage. For example, try using the ‘Comments’ field in iTunes or in TRAKTOR PRO to add additional information that will help make your tunes more searchable such as ‘Summer Music’ or ‘Late Night Music,’ etc. You could even list other tunes that a certain tune mixes well with. Keeping a physical notebook is very handy as well for remembering what tunes mix better together or any other details about a mix that you might otherwise forget during a performance. DJs that perform with vinyl often stack records aside or write notes on the label to help them make decisions faster during a performance. With digital files, these details sometimes get lost in the moment. Therefore, a notebook and pen next to the DJ booth are valuable tools for building sets that go deeper than a playlist of this month’s favorites. Most great DJ performances happen while standing up, so it seems logical that your mixes, track selection, and overall mood will be different when you sit at a desk to program a mix or set. If you come from a background DJing with vinyl or CDs, it can be especially frustrating to go from a physical booth setup to a laptop on your desk. 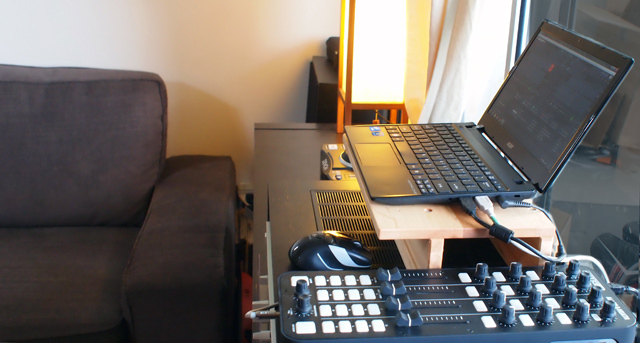 The solution, make a DJ booth for your laptop. By creating a space where you can stand up and control the mix, you’ll feel much closer to the music. Sitting down creates an entirely different vibe – be aware of the difference. Starting with a historical overview, students will learn the fundamental concepts of DJing via Traktor’s intuitive interface. They will then delve into the vast array of possibilities offered by this groundbreaking software, presenting their work along the way. Students will leave with finished DJ mixes, a thorough understanding of DJing with Traktor, and a solid skill set ready for further development. Visit the DJing with Traktor course page for detailed information on this program here.